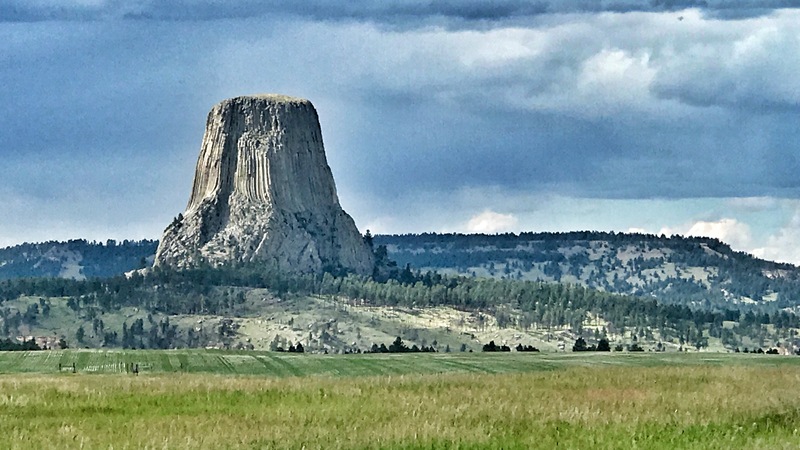 “Watch out,” several people told us when we mentioned we were headed to Devil’s Tower in Wyoming yesterday. “Straaaaange things happen there.” Perhaps, we thought, they’re just remembering the Tower’s central role in Close Encounters of the Third Kind. Then we remembered, Tom Cruise is the world’s most powerful Scientologist, and he’s trying to save humanity from certain destruction by…communicating with aliens…or something like that. 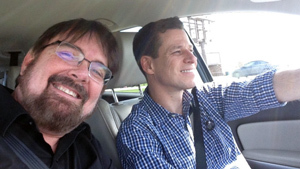 We don’t really understand Scientology, even after going undercover to investigate it. But the more we thought about it, the more it became clear: Tom is deeply involved in a giant conspiracy that’s tied in with aliens and a certain geologic structure in Eastern Wyoming. 1) Tom expects to be picked up by aliens (per Scientology doctrine) and Devil’s Tower is a known extraterrestrial pickup location. 2) Devil’s Tower and Tom Cruise both contain the letter T.
3) We didn’t see Katie Holmes anywhere in the vicinity of Devil’s Tower. 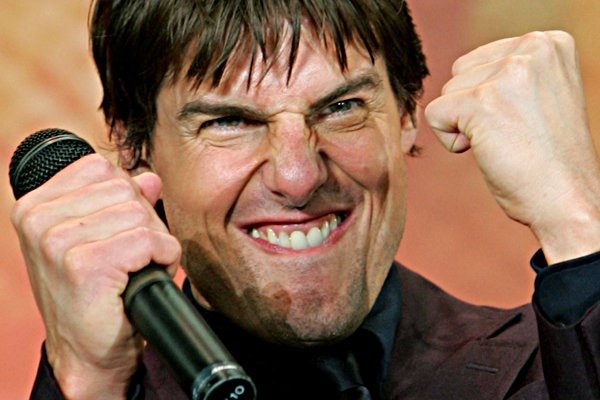 4) According to several recent books, Tom Cruise is close friends with the Devil. 5) There is no evidence of Nicole Kidman visiting Devil’s Tower since her estrangement from Tom Cruise. 6) John Travolta and Devil’s Tower both contain the letter T.
7) On one tree, we noticed a carving: “TC + LRH”. 9) We noticed lots of young women around and, as more than one book has documented, Tom likes them younger (and with ponytails). There you have it. If you want further proof of the conspiracy and coverup, just go see Tom’s latest movie, The Mummy. You won’t see a single alien in the entire film. Better yet, don’t go see it. Critics are calling it “Tom Cruise’s worst film.” Obviously they never saw Cocktail. Now that we think about it though, we’ve heard Tom has a real temper and propensity for getting even. So, uh…never mind…forget everything we just said!